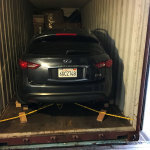 Aris Export Co., Inc. was established in 1975 for those looking for international shipping in San Francisco. 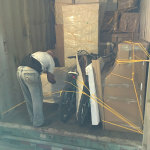 Aris Export is your “one” stop for all of your overseas appliances, moving and shipping needs. 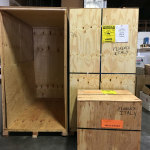 We can handle all needs at our facility in San Leandro (one mile from the Oakland Airport, ten miles from the San Francisco/Oakland ocean port). 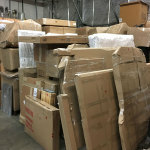 We have a showroom and a warehouse located at the same facility, so we can accommodate your needs and make your move as smooth and as convenient as possible for you. When you move out of the country, you will need to ship your household goods and personal effects the safest and most reliable way. 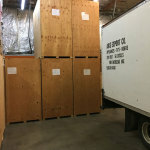 Therefore, you should contact the specialist in overseas moving and appliances, Aris Export Co., Inc. Aris Export is an international moving company specialist in household goods, packing, crating, insurance, documentation and shipping via ocean/air (consolidating to the Middle East, Europe, South America, Australia, Africa, Far East, New Zealand). 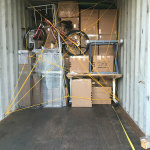 Also specializing as an international shipping company ship household goods and personal effects from a small trunk to a full container (20′ or 40′), including automobiles/boats. We carry a full line of 220 volt / 50 or 60 hertz appliances – refrigerators, washers, dryers, free standing gas or electric ovens, dishwashers, microwaves, vacuum cleaners, trash compactors, garbage disposers, multi-system TV’s, VCR’s, DVD’s, stereo systems, camcorders and many more small appliances. We carry a full line of transformers, foreign plug adapters and cables.